More dubstep sounds? You betcha! Since SampleRadar began last year it's toured through a wide range of musical styles, but this week's instalment takes it back to the place it started: dubstep. 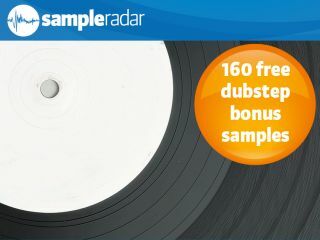 If you're been onboard from the start you'll know that 342 free dubstep samples have already been made available for download, but if that's not quite enough for you, keep reading (and clicking) for some extra bonus content. The samples are split into four folders: Beats, FX, Loops and Percussive FX. Each of these contains samples of the type that the folder name indicates. The dubstep bonus samples are supplied in a zip file, so you'll need to extract them before you can see them. Enjoy!